I always strive to provide the same level of service to my clients as I would to friends and family members. For me, helping members of the community is its own reward. We are a full service firm with emphasis on certain specialties, including accident and injury claims, bankruptcy, medical malpractice, criminal and traffic cases. As a Former Prosecuting Attorney, it is crucial for someone charged with a crime to have an experienced attorney representing them from the very beginning of the case. We are a full service firm with emphasis on certain specialties, including accident and injury claims, bankruptcy, medical malpractice, criminal and traffic cases. If someone has a matter that is not within my specialty, I will assist them with finding the right attorney. It is important not only to find the right specialist but to find someone whom I believe to be the best fit. (734) 283-5100, or reach us HERE and we will contact you. 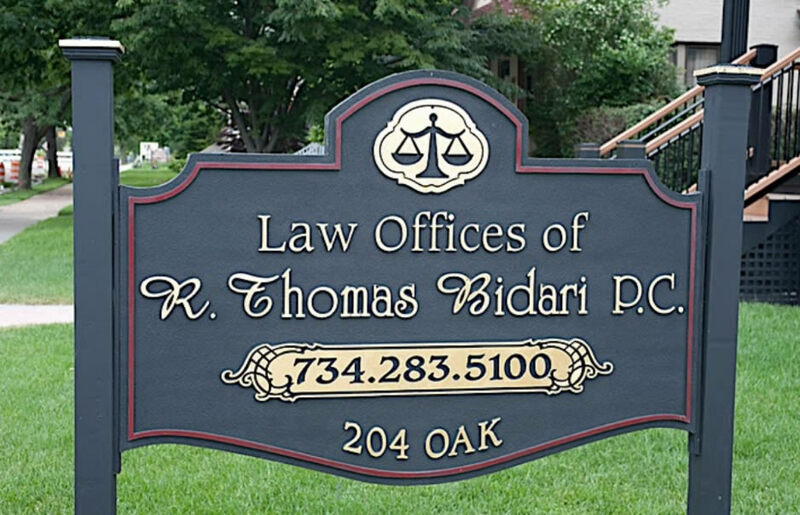 © R. Thomas Bidari, Attorney at Law. All rights reserved.